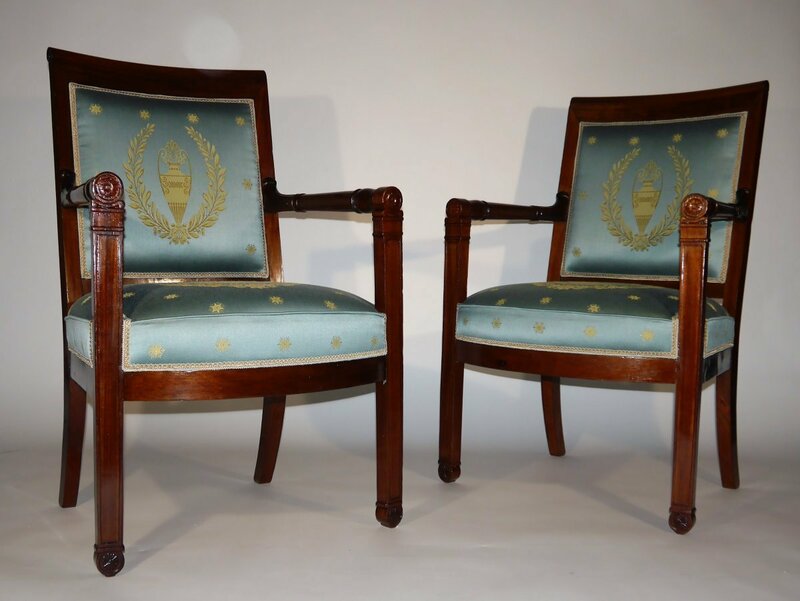 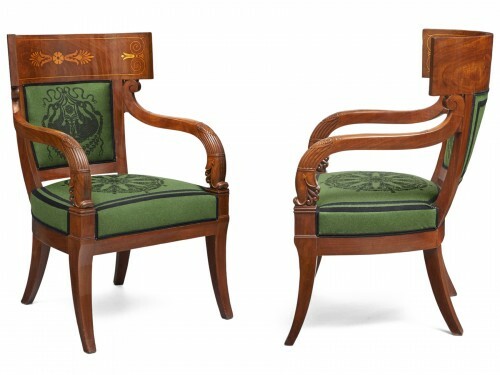 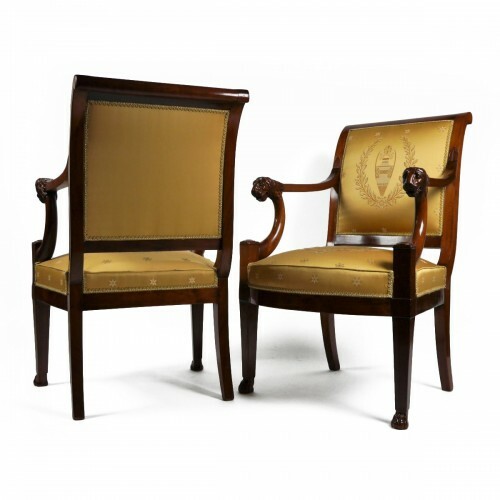 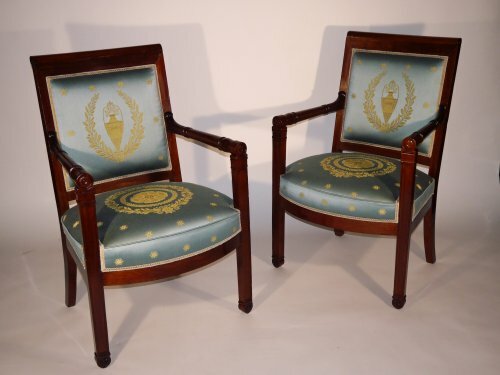 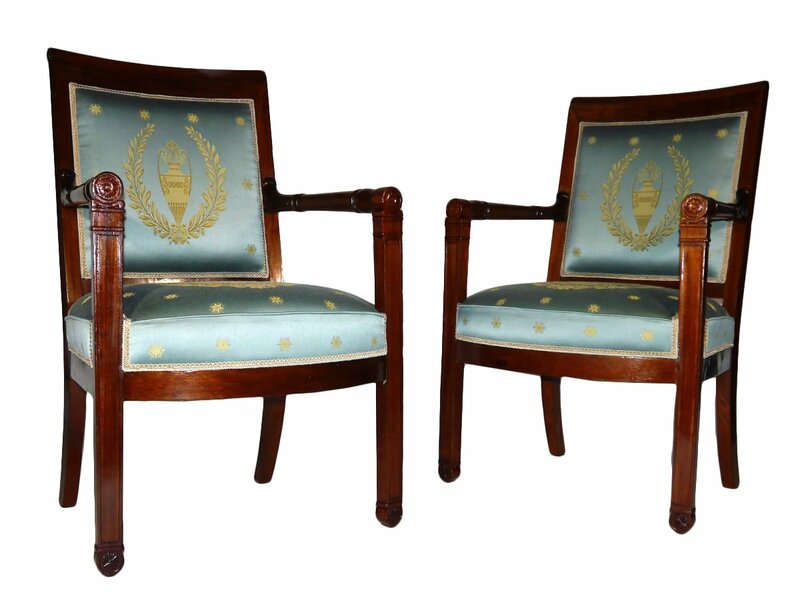 Pair of mahogany and mahogany veneer armchairs of the Empire period. 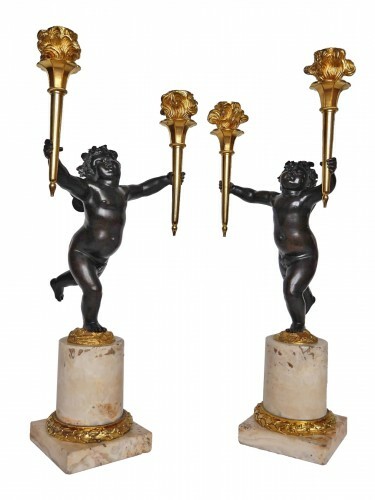 An imposing model with its anterior feet in the form of pilasters decorated with rosettes. 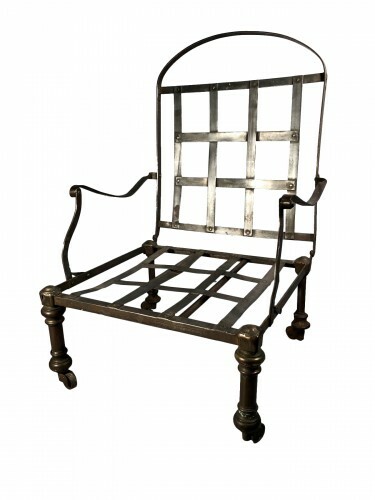 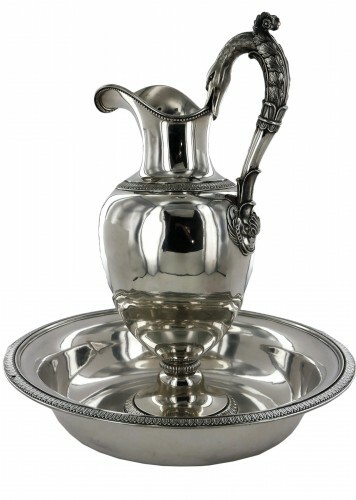 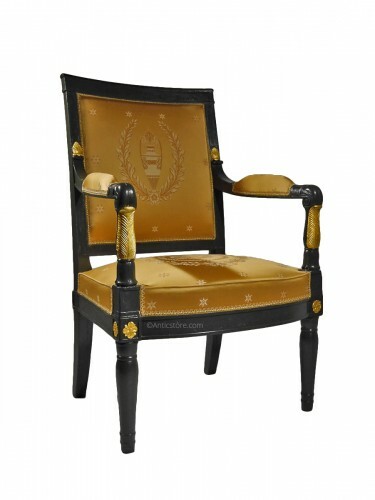 Benoît François Boulard (1766-1846) delivers in 1806 for the palace of Fontainebleau (Princess Joseph's bedroom) a suite of 6 armchairs of the present model. 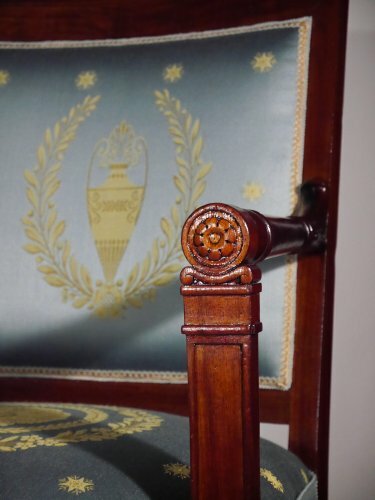 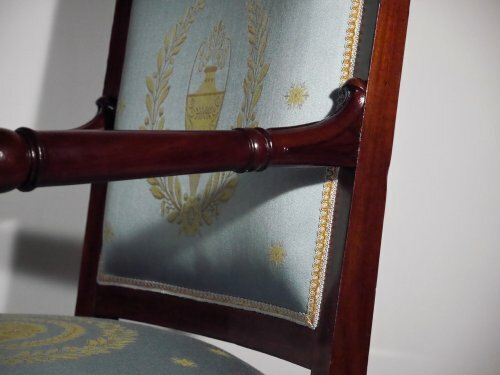 We also find this model (with the connection arm of the armrest that is slightly different) at the Ministry of the Navy. 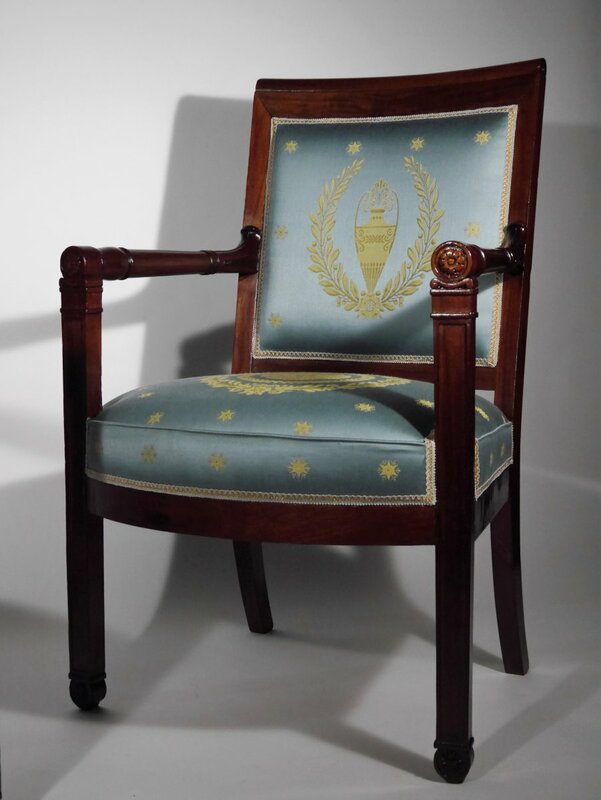 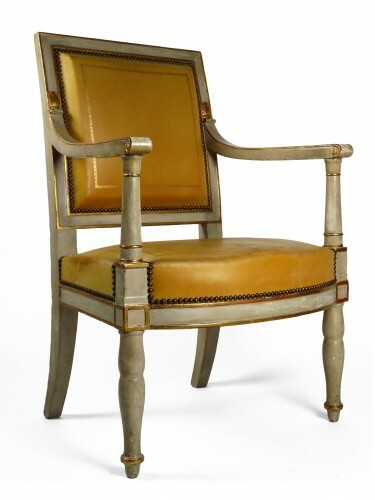 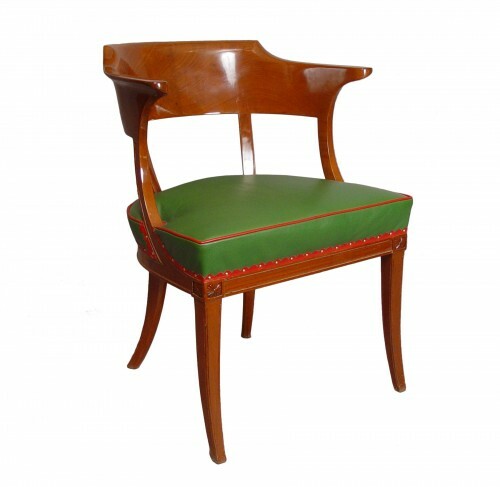 Condition report: completely restored and upholstered in our workshop with "Tassinari and Chatel" fabric.